When my kids were growing up I never knew how many of their friends would be in my house at any given time. My daughter's friends loved hanging out at our house, and my son was on the wrestling and football teams so, at any given time, I could have a whole sports team worth of boys rambling through my kitchen (insert emoji of a Mom pulling her hair out here)! These hacks are ones that I came up with to make my life easier by making things easier for the kids. My kiddos are all grown up, and out on their own, but some of these are great to use with just Kevin and I in the house. Plus, the G-baby will be toddling around in the very near future. 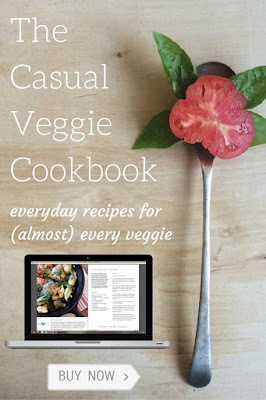 I can't wait to get her into the kitchen with me, and then these hacks will come in really helpful again! Designate in drawer in the fridge to snack for the kids. I used to cut up melons, bag up single servings of grapes, etc. Place them in the drawer so kids can grab and go. 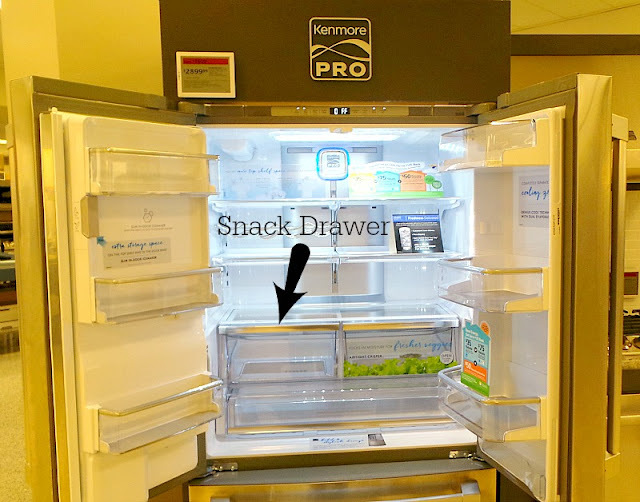 Designate a kitchen drawer for kid snacks that don't need to be refrigerated. Granola bars, peanut butter crackers, raisins, etc. Buy a plain magnet from your hardware store and paint one side red, the other green. 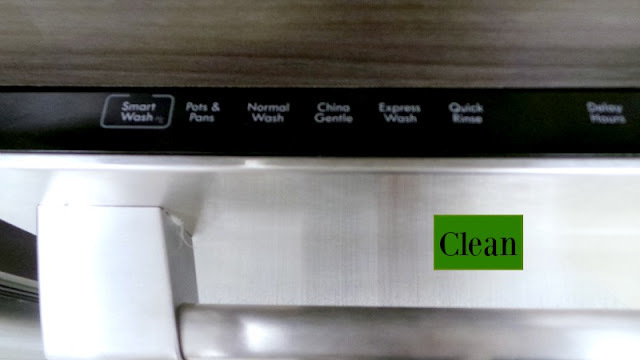 Use on the dishwasher to notify people if the dishes are clean or dirty (green = clean, red = dirty). Use color coded, or numbers, sticker on appliances that are kid safe. Mark the buttons they push to start it (buttons on the dishwasher, clothes washer and dryer). Buy a lazy Susan, for your fridge (or cupboard), to store vinegars on. That way you can spin to find them VS digging through and knocking over bottles. 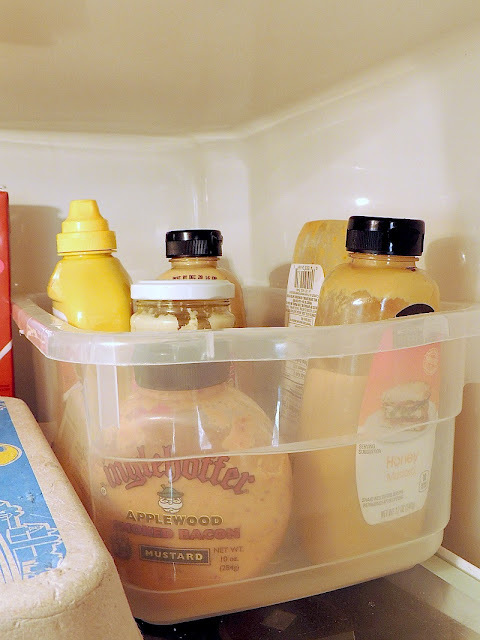 Use clear plastic shoe boxes to keep like items together in the fridge for easy access. I have a box that contains several different flavored mustards, ketchup, and mayo. Then one that contains all of my different hot sauces. That way you don't have to dig through to find the one in the back, you just take the box out to grab what you need. Find one that fits on a shelf so you can easily remove the box to find what you need without digging through everything. 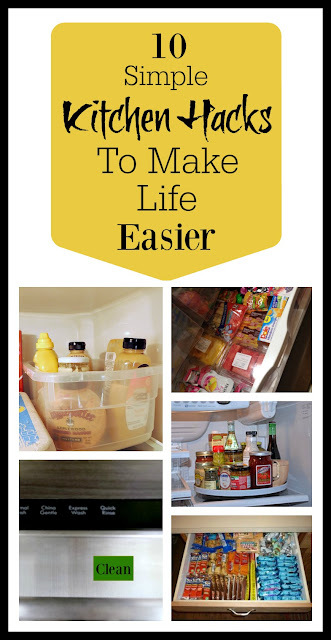 Store extra plasticware in the garage or a closet (extra for sending leftovers home with people, or freezing items), or better yet, get rid of extras. Mark settings on the toaster. It can be confusing for kids to know which is for toast and which is for bagels, etc. My smoke alarm used to get quite the work out! Keep a write on/wipe off board on the outside of the fridge/freezer. Write in green what is in the fridge/freezer to keep from opening the door over and over again. When someone uses the last of something, write it in red. Download a grocery shopping app. There are several free apps, available through iTunes and Google Play, that let you connect several phones on one account. When you run out of something, put it on the list. The next time anyone in the group goes shopping they have everything that is needed. No lists to lose (or forget) . We personally own the Kenmore front loading washer and dryer, and double oven, and adoooooore them. I honestly wouldn't use any other brand! 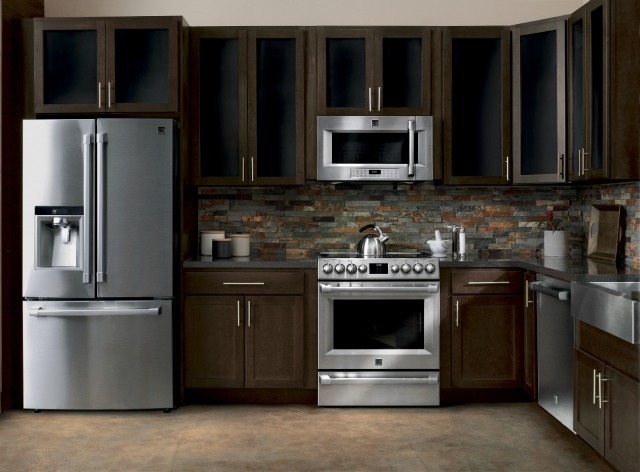 If you in the market for new appliances, but just aren’t sure which are right for you, check out Sears.com. That’s the first place I went to when we realized that we needed a new microwave. Plus, Sears offers an amazing warranty program (although we haven’t needed use it). So there is no need go it alone! The professionals at Sears are extremely helpful (shout out to my guy Steven) and made my decision that much easier. 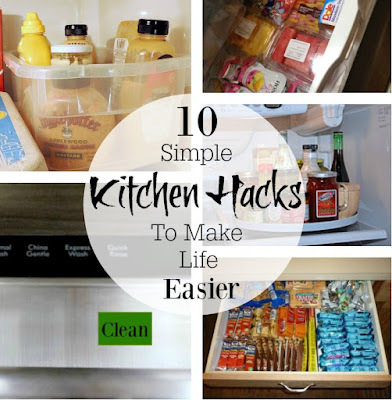 Do you have any tried and true kitchen or appliance hacks? I would love to hear about them, I am always on the look out for ways to make my life easier!! This is a sponsored post written by me on behalf of Sears Home Appliances and Services. But, as always, all opinions are my own.